A new poll has found nearly half of California voters believe they can’t afford to live in the state. The Quinnipiac University poll released Wednesday reports that 43 percent of California voters said they can’t afford to live there. That number was driven by younger voters: 61 percent of voters age 18 to 34 said they can’t afford to live in California. “For many Californians, life is less than golden in the Golden State,” the release quotes Tim Malloy, assistant director of the poll. Surging housing prices in California led CALmatters to report that the state was the poorest in the country in 2017. The organization reported then that 20 percent of the state’s population struggled to make ends meet. 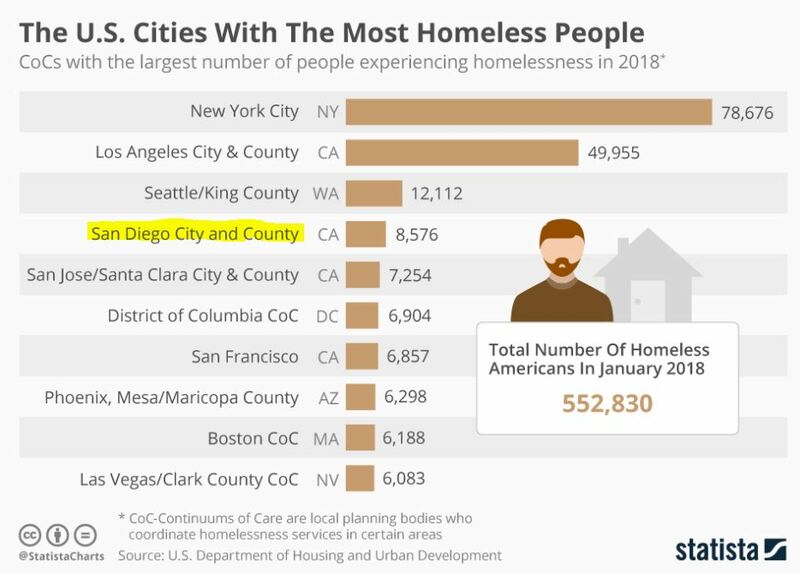 This week, the San Diego City Council said the city will stop punishing people for living in their vehicles. It’s a move toward more constructive policies on homelessness, advocates said. You don’t need the median person to be able to afford to buy a house. You don’t even need the average person. You just need enough demand to match supply. Where that lies on the household income scale is irrelevant. I’ve been looking for the graph of trustfunders who need to move up again and can’t find it anywhere!